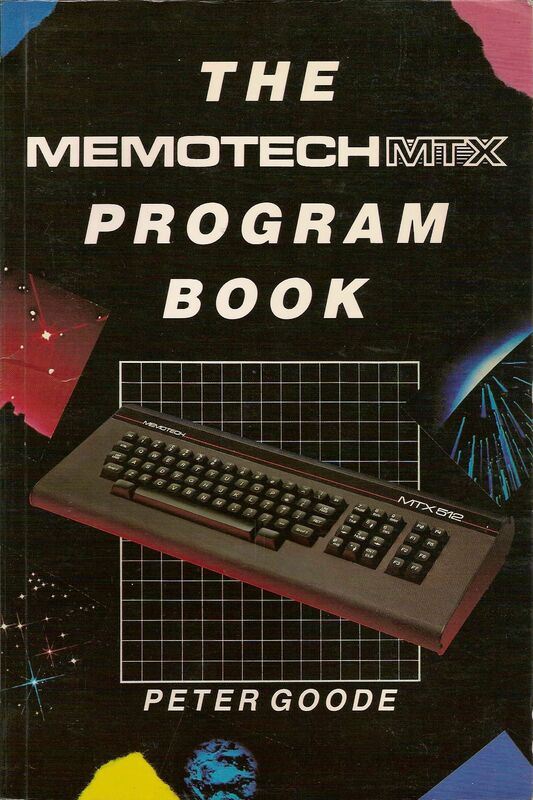 This page contains links to a selection of hardware and software manuals as well as a listing of the books that were published commercially for the Memotech range. Most of this material has been collected from various archives freely available on the internet. Although many of the books and documents available on this page are no longer in print, they are still subject to copyright of the respective authors & publishers. Given the age of the material here and the limited interest in the subject matter, I believe that the documents here can be distributed without restriction, particularly as most are unobtainable through normal channels. However, if you believe that any material here does not fall into this category, please let me know and I will remove it. This document has the same content as the one above, but is substantially smaller in size and actually slightly better quality. 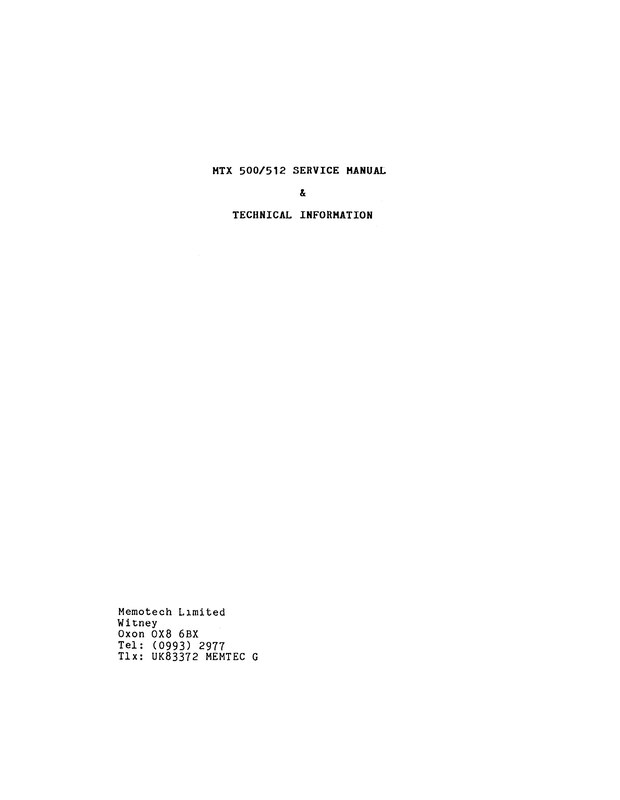 This is the complete Operator's manual and includes the Operator's Manual, FDX BASIC, Technical Manual, NewWord, SuperCalc. The individual sections can be downloaded by clicking on the hyperlinks or the images in the cells below. Clicking on the image will open it full size in your web browser, or you can download a Zipped copy by clicking the icon. 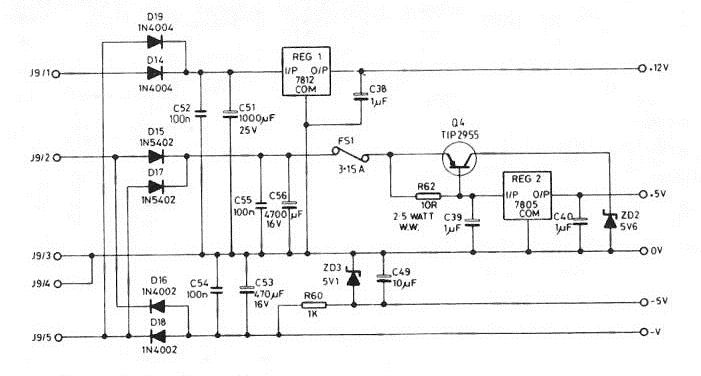 The source was bit unclear, so my schematic may have some inaccuracies in it. I have made a few minor changes based on "reverse engineering" of my boards and added a few comments for my own benefit (which may, or may not, be correct). Drawn by Dave Stevenson, using KiCAD, from the original document supplied by Peter Kretzschmar. 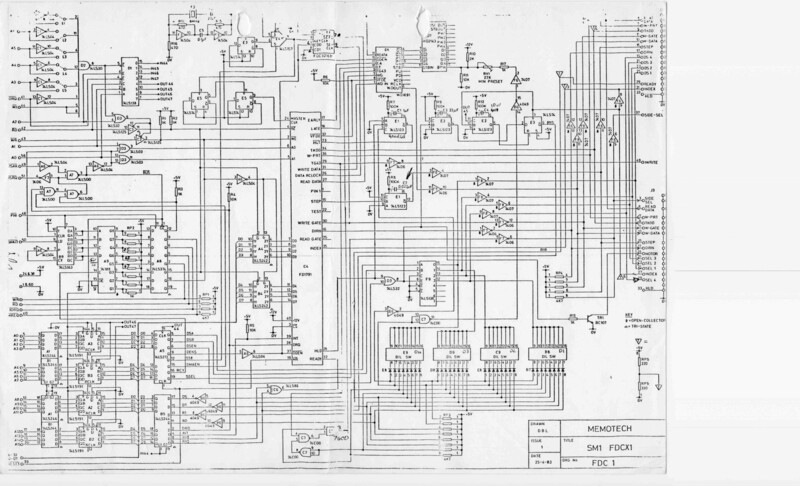 (Updated to include logic equations for the PALs) Drawn by Dave Stevenson, using KiCAD, from original documentation supplied by Tony Brewer. Tony has also checked the schematics for accuracy and contributed a lot to its layout, so in the absence of any official circuit diagram, this is as good as you are going to get! 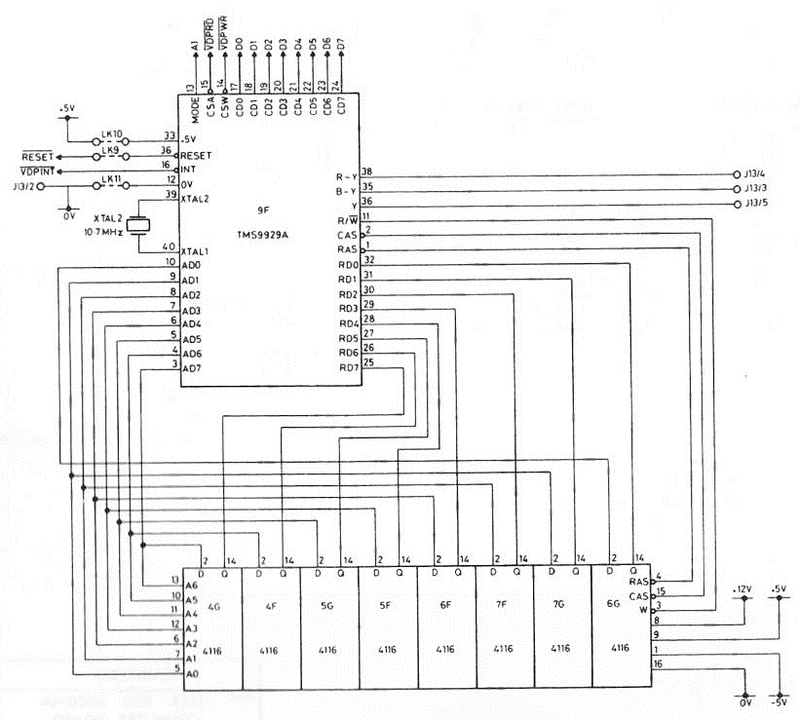 Schematic of the Memotech "Speculator"
(Includes the logic equations for the PALs) Drawn by Dave Stevenson, using KiCAD, based on reverse engineering of his original design by Tony Brewer. Again, Tony has also checked the schematic for accuracy and contributed a lot to its layout. There is a wiki page on the drive, including some maintenance tips on this page. Have you seen a manual for this drive? Also available in slightly lower quality. (3MB) Downloaded from Kevin Pulo's Osborne 1 site. 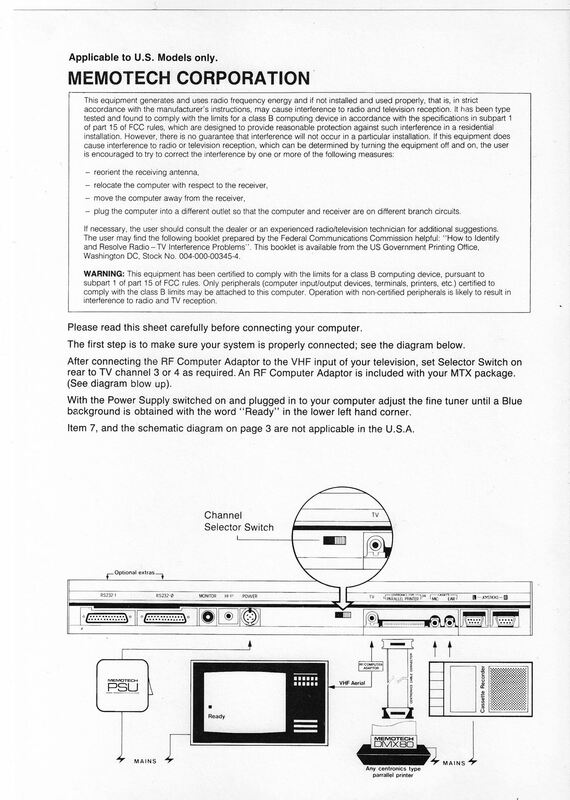 The DMX80 Printer was manufactured by Panasonic and was, apart from the colour, identical to the Panasonic KX-P1090. The Memotech Node "Oxford Ring" Token Ring Network. 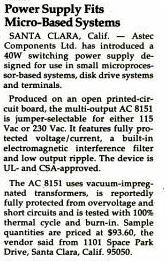 An OCR'ed version, cleaned up, checked and enhanced then "printed" to PDF - much improved over the original scanned document. Produced by Orion Software - one of the many faces of SyntaxSoft. Assembly language helper for using MTX features such as sound and graphics. You may have noticed that The Source is the only item on this site that is not freely available - see opposite for why. 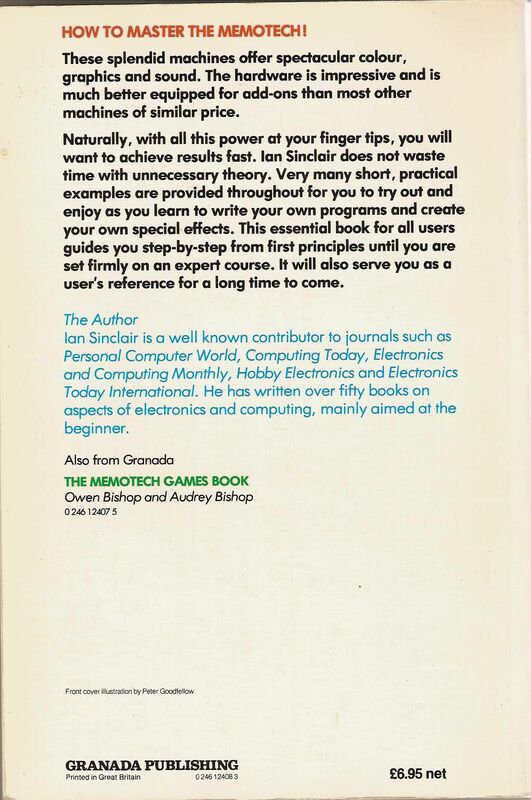 This copy provided courtesy of Jon Bradbury. A group of us paid to get this publication professionally scanned, re-printed and bound. All of the hard copies have been distributed and there is unlikely to be enough interest to justify another print run - let me know if you are interested though. Given that others paid for it, I am not inclined to make this available as a free download just yet. 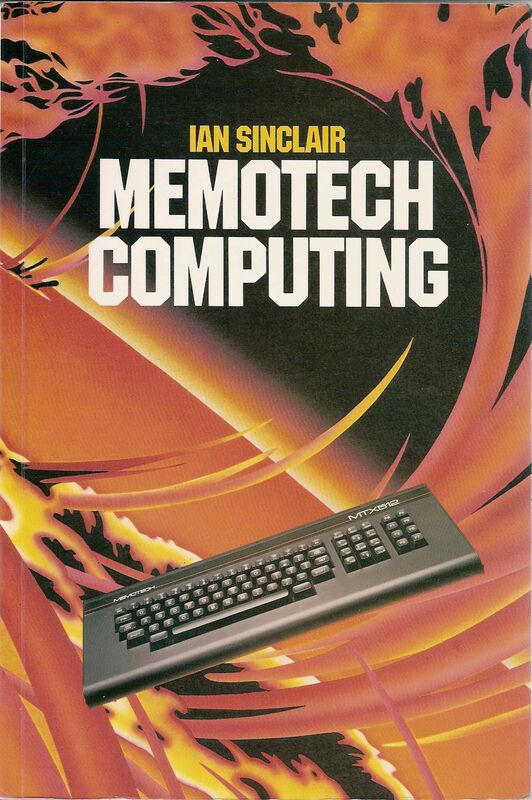 I will supply a PDF copy for a nominal fee or in exchange for other Memotech collateral, including hardware or software / documentation (that we don't already have in the library). 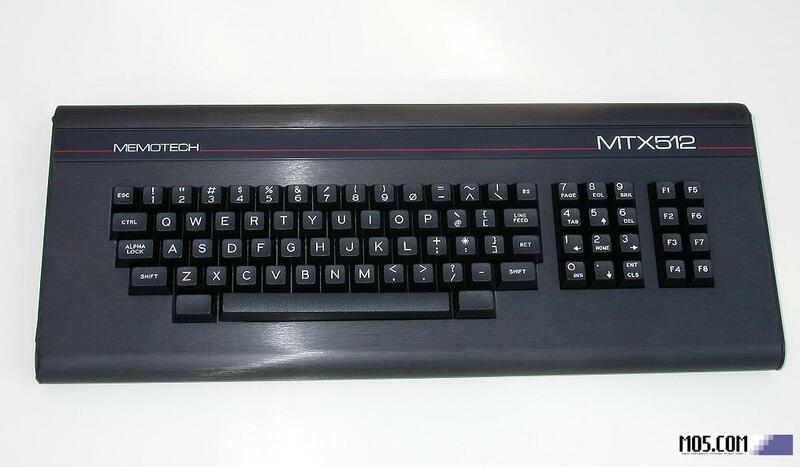 Although they are still covered by the copyrights of their respective authors and publishers, all of the books published for the MTX series are now out-of-print and pretty difficult to obtain. Andy kindly donated a copy of the book below, meaning that I had a duplicate. 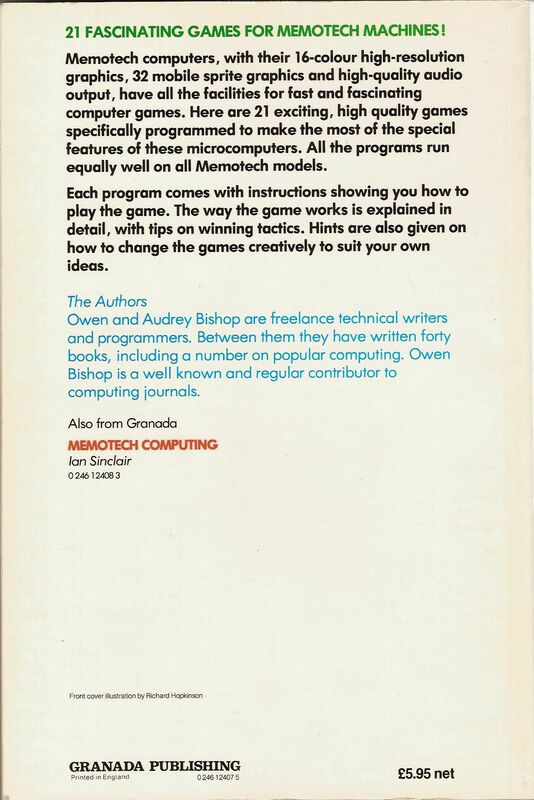 Even though it was a shame to destroy the original, in order to make a high quality copy of the book available to the wider Memotech community, with Andy's permission, I have unbound the book and scanned it to PDF. The document has been converted to recognisable text, so you should be able to search it as well as Cut and Paste the content into text documents to load into MEMU etc. The text recognition is not perfect, so you will probably have to do some manual editing, but it is better than having to type in the whole listing. Should you actually do this. please consider making the resultant BASIC file available to the community. 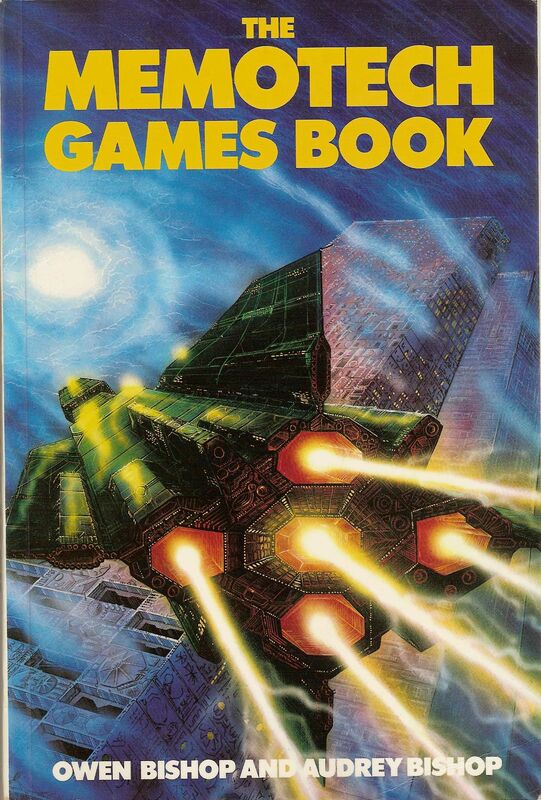 Published Jan 1984 by Phoenix Pub. Associates. The titles below are listed for information only, I do not have electronic copies of these publications, although I do have a hard copy of the first two. I don't think that either of the Spencer Bateson books were ever published, unless you know differently ? By Spencer Bateson Published September 1984 by Phoenix Pub Assoc. "Published" October 1984 by Phoenix Pub Assoc . 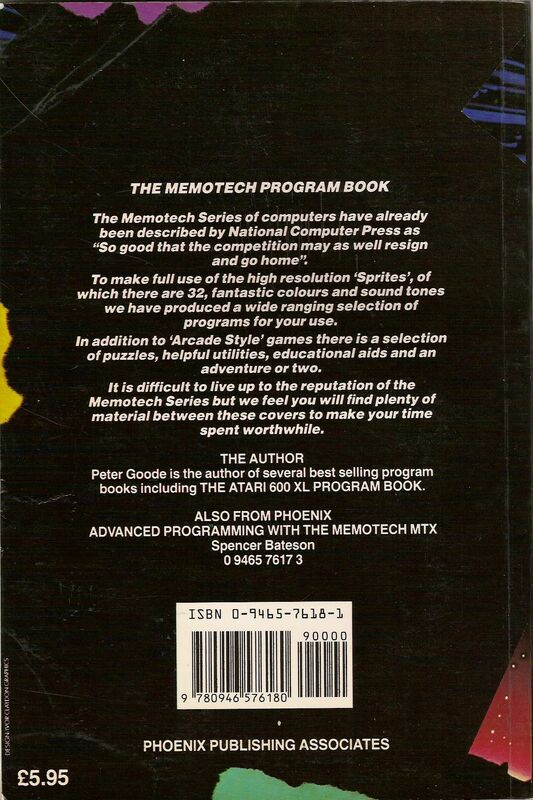 (This title was deleted, Genpat Issue3 from November 1984, describes the "new Phoenix MTX Operators" manual as "including the best parts out of [this] deleted book"